The Arkansas Rural Ed. Association is a statewide organization that is affiliated with the National Rural Education Association. AREA promotes quality experiences and opportunities for all of Arkansas' rural students to enable them to compete in a diverse global community. Arkansas Rural Ed. Association is dedicated to improving instruction and promoting quality education for all students in rural schools throughout the state, and it provides a unified voice for representing rural school districts to legislative bodies and public officials. 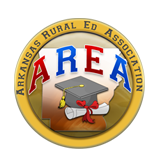 AREA supports the integrity of rural school districts and honors the committed educators who are dedicated to the outstanding young minds of the great state of Arkansas.